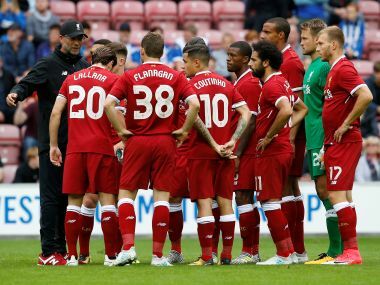 Liverpool have had a topsy-turvy start to the season, which included conceding a late equaliser in their 2-2 opening draw with Sevilla on their Champions League return. All four teams in the group have one point, after Spartak drew 1-1 at Maribor. 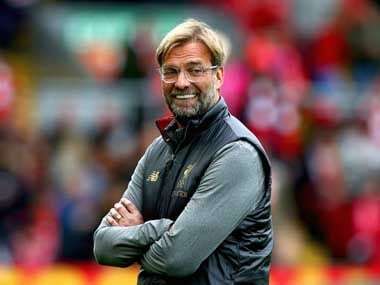 A 4-0 thumping of Arsenal suggested Liverpool manager Jurgen Klopp had found the right balance for his side, but they needed a victory over Leicester City at the weekend to end a four-match win-less run. It will be the five-time winners' first away game in the Champions League since a 2-2 draw at Ludugorets Razgrad in 2014. Spartak are seventh in Russia and 10 points behind leaders Zenit St Petersburg. Record five-time Europa League winners Sevilla take on Maribor, hoping to bounce back after their weekend 2-0 defeat by Atletico Madrid. 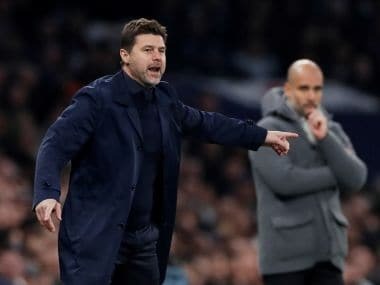 Eduardo Berizzo's men should have little trouble in getting three points, as they look to mount a serious Champions League challenge after the shock last-16 exit at the hands of Leicester last season. Sevilla will see this group as an opportunity to finish top and pave the way for a first European Cup quarter-final in 60 years. Maribor are win-less from their six previous Champions League group-stage matches away from home. Pep Guardiola's Manchester City will be looking to continue their incredible recent form when they welcome Shakhtar Donetsk to the Etihad Stadium. The English side kicked off their Champions League campaign by cruising to a 4-0 victory at Feyenoord and have scored 16 goals in their last three Premier League games without conceding. Forwards Sergio Aguero, Gabriel Jesus, Raheem Sterling and Leroy Sane have all scored five or more goals already this season. Paulo Fonseca's Shakhtar could provide a stern test though, after they also notched an opening Group F win with a 2-1 defeat of Napoli. Napoli reached the last 16 for only the second time last season, but are under serious pressure after their loss to Shakhtar. They host Feyenoord needing to translate their excellent domestic form to European competition. Maurizio Sarri's men battled past SPAL 3-2 on Saturday to make it six consecutive wins to start the Serie A season and they top the table above last season's Champions League runners-up Juventus on goal difference. Dutch champions Feyenoord are the only representatives for the Netherlands in Europe's premier competition this term, and haven't won a game in the tournament since 2002. Porto have fond memories of their only previous encounter with Monaco, Jose Mourinho's side beat Didier Deschamps' team 3-0 in the 2004 Champions League final in Gelsenkirchen. Last season Monaco produced their best run since by reaching the last four. Despite the sale of numerous key players, Leonardo Jardim's squad have won six of seven matches to start Ligue 1 with Radamel Falcao, a former Porto standout, torching opposing defences to the tune of 11 goals. Thomas Lemar and Danijel Subasic remain injury doubts for Monaco, while Porto can welcome back leading scorer Vincent Aboubakar following suspension. Porto have won their first seven league matches but slid to defeat at home against Besiktas a fortnight ago. Turkish champions Besiktas meet RB Leipzig for the first time as the German upstarts hunt a maiden win in their debut season in Europe. Besiktas kicked off their campaign with a 3-1 win at Porto but are seeking a first victory against German opposition at the eighth attempt. The Istanbul club have lost just once in 17 European home games but drew all three fixtures in last season's group stage. They lost a heated derby at Fenerbahce 2-1 on Saturday and finished with eight men as five players were sent off in total including Ricardo Quaremsa. Leipzig finished second to Bayern Munich in 2016/17, their first season in the Bundesliga, but have made a slower start to the new campaign, losing twice already. Borussia Dortmund and Real Madrid meet in the group phase for the second year running and history suggests the holders could face another difficult evening in Germany. Dortmund topped their section ahead of Real last term after a pair of 2-2 draws between the sides and are off to a flying start in the Bundesliga. Pierre-Emerick Aubameyang's hat-trick inspired Dortmund to a 6-1 rout of Borussia Moenchengladbach at the weekend that left them three points clear of Bayern Munich. Real failed to score for the first time in 74 matches in a shock 1-0 home loss to Real Betis on Cristiano Ronaldo's return from a five-match domestic ban but bounced back to win 2-1 at Alaves on Saturday. The Spanish giants are win-less in six trips to Dortmund though. 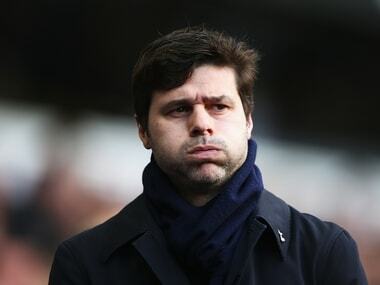 Tottenham will look to build on a vital 3-1 home win over Borussia Dortmund as they travel to Cyprus. 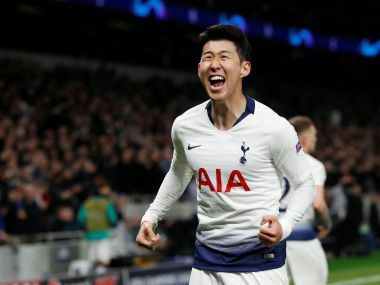 Spurs collected a third straight away victory in the Premier League, sinking London rivals West Ham 3-2 on Saturday as Harry Kane scored his third brace in four outings. However Tottenham have won just two of their last 11 matches on their travels in Europe and are without both Dele Alli and Jan Vertonghen through suspension. APOEL lost 3-0 to Real Madrid in their opening fixture but are no lightweights at home. The Cypriots have conceded just one goal in their seven previous European matches while winning nine of the past 11.